The Canadian province of Quebec will ban public-sector employees from wearing yarmulkes, hijabs and other religious symbols during work hours, according to legislation introduced last week. The bill has drawn the ire of Jews, Muslims and a broad base of human rights advocates. The proposed law sets the province’s right-leaning Coalition Avenir Québec (CAQ) government on a collision course with Prime Minister Justin Trudeau, who promotes religious freedom, in a federal election year with Quebec a vital battleground. 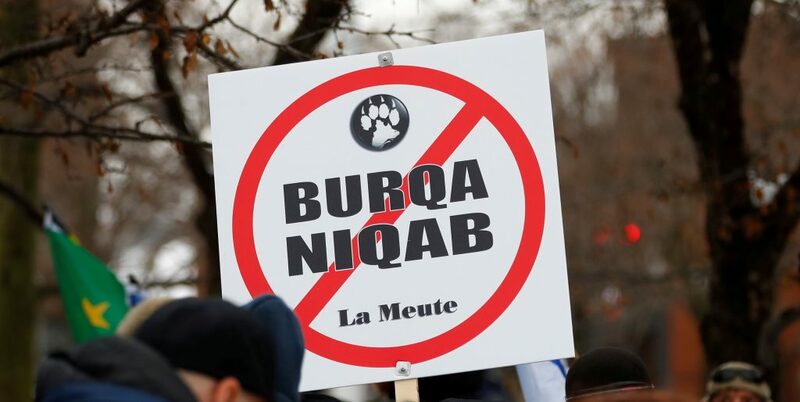 Mayer Feig, a Montreal-based community activist, said the bill would have little effect on the day-to-day life of Jews or Muslims, as few yarmulke– or hijab-wearers occupy jobs targeted by the law. That fact alone, he said, betrayed what he felt were ugly motivations behind the legislation. “When they take a completely irrelevant issue and turn it into a major public campaign for years, all it shows is the intolerance of a large portion of the population,” he told Hamodia. Some critics have suggested that teachers in public schools and colleges have been added to the list that mostly focuses on government positions, saying the addition was meant to find a field that does have a significant number of individuals who could be affected. A clause in the bill allows present employees to be “grandfathered in,” but would affect new employees. Mr. Feig said that this was one area where several Orthodox Jews hoping to pursue careers in academia could face a real challenge. Governments in Quebec have been trying for years to restrict civil servants from wearing overt religious symbols like headscarves and yarmulkes. The push is supported by militant secularists, who have had a strong following in the province since the 1960s when the Catholic Church was largely removed from a prominent role in public life during a movement that came to be known as the “Quiet Revolution.” In recent years, they have joined in a coalition with elements opposed to Muslim immigration to promote the ban on religious symbols. But condemnation was quick, with Jewish advocacy group B’nai Brith calling the bill “an assault on the fundamental rights and freedoms of Quebecers,” while the National Council of Canadian Muslims said it will make Muslims and other minorities “second-class citizens” and overwhelmingly impact Muslim women. To shield the new legislation from legal challenges, the Quebec government is invoking a rarely-used clause that enables it to override the Canadian Charter of Rights and Freedoms for up to five years. Yet, several legal experts who oppose the law question whether the clause would withstand constitutional scrutiny. Several opponents in positions of authority in fields that stand to be affected have said that they would refuse to enforce the law should it be passed — another approach some observers say could keep the bill from having practical effects. Mr. Feig said that much of its support came from frustrated Quebec separatists who have channeled their lack of success in attaining independence into campaigns against religion, immigration, and minority groups. Largely resigned to the bill’s passage, he hoped that at least its passage would put the long-debated and contentious issue to rest.